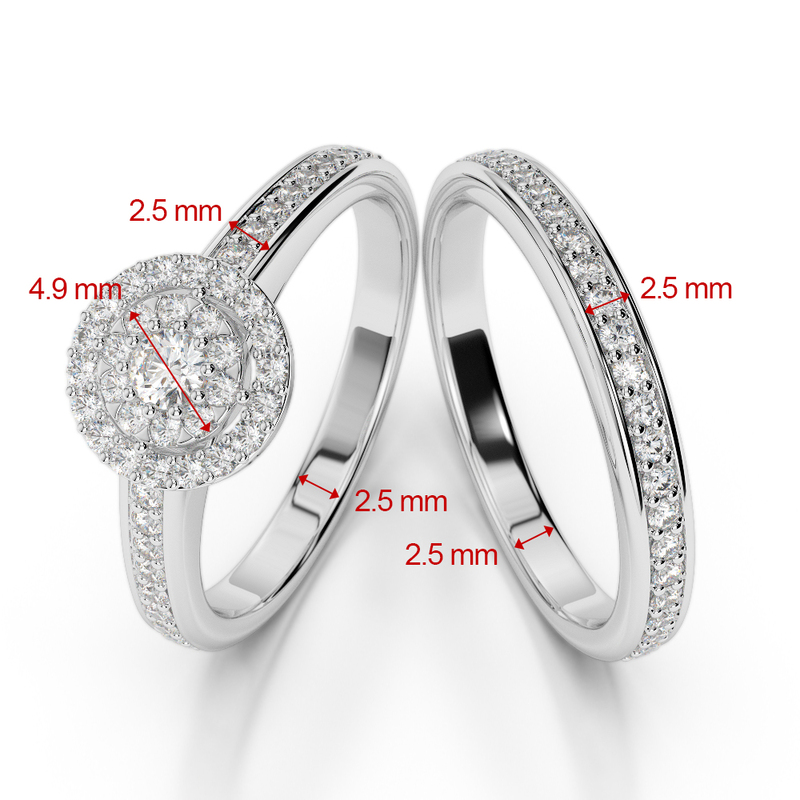 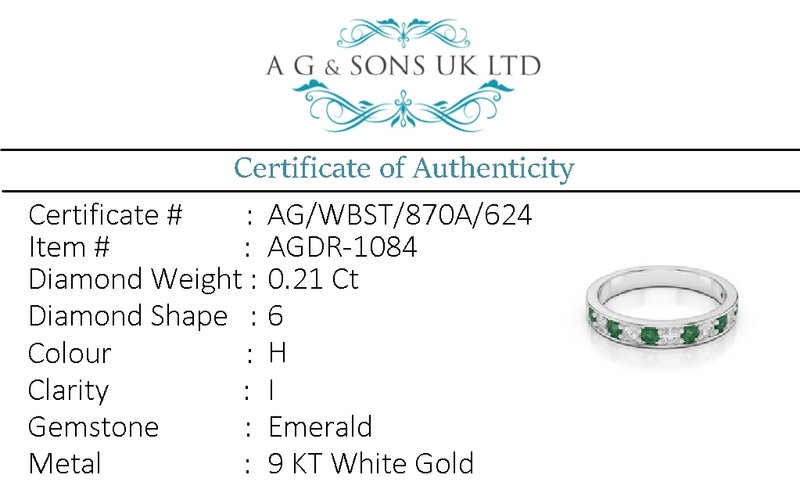 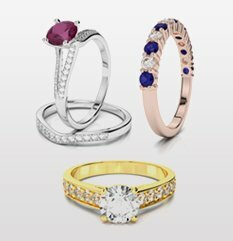 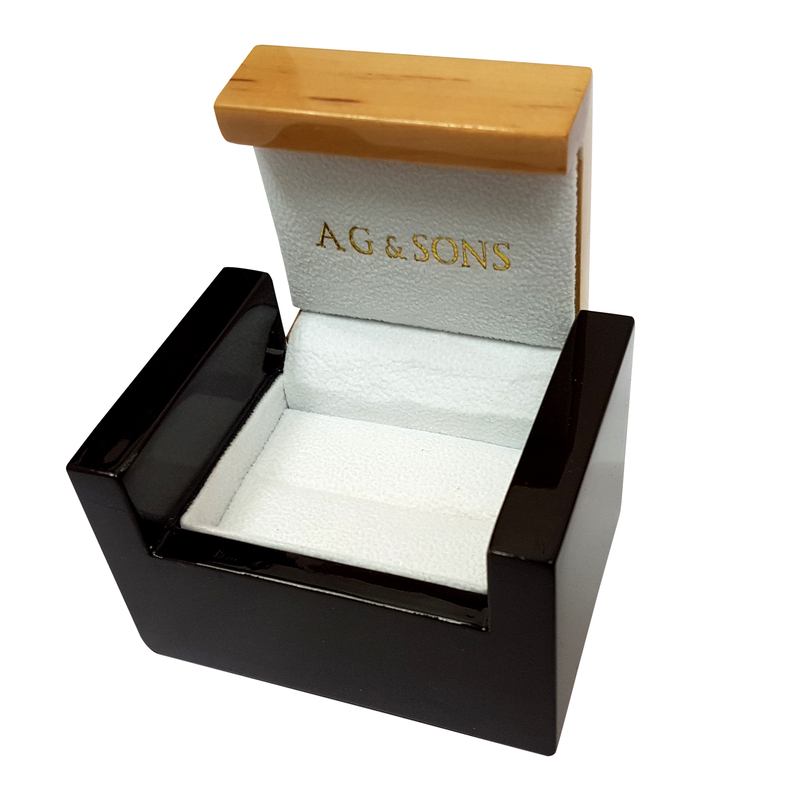 If you are looking for a matching wedding ring and engagement ring, these beautiful bridal set rings are the perfect choice. 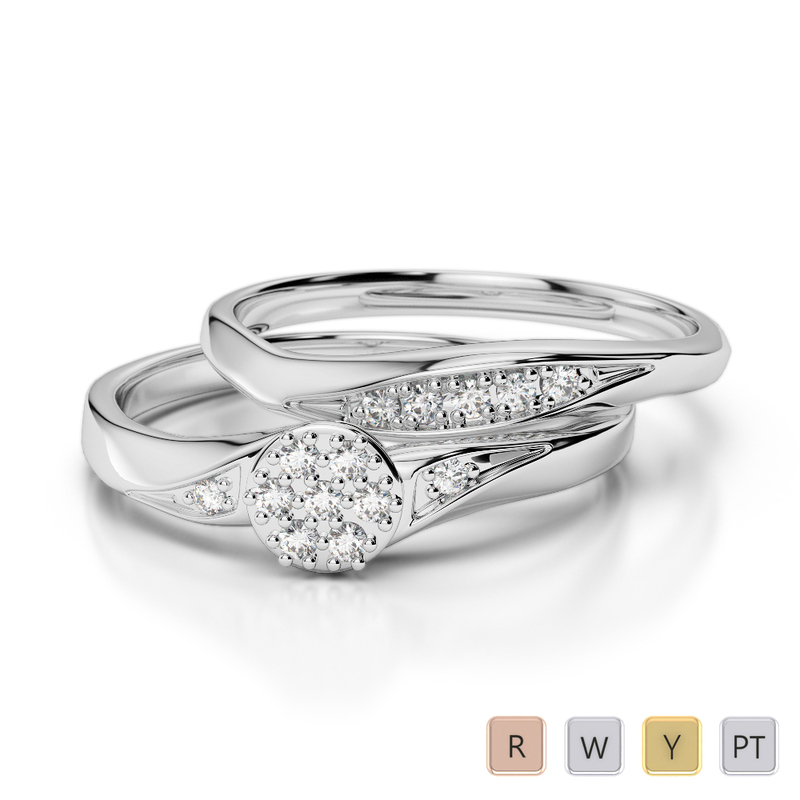 Featuring round brilliant cut diamonds set on prong and pave setting, these rings fit together as perfectly as you and your loved one. 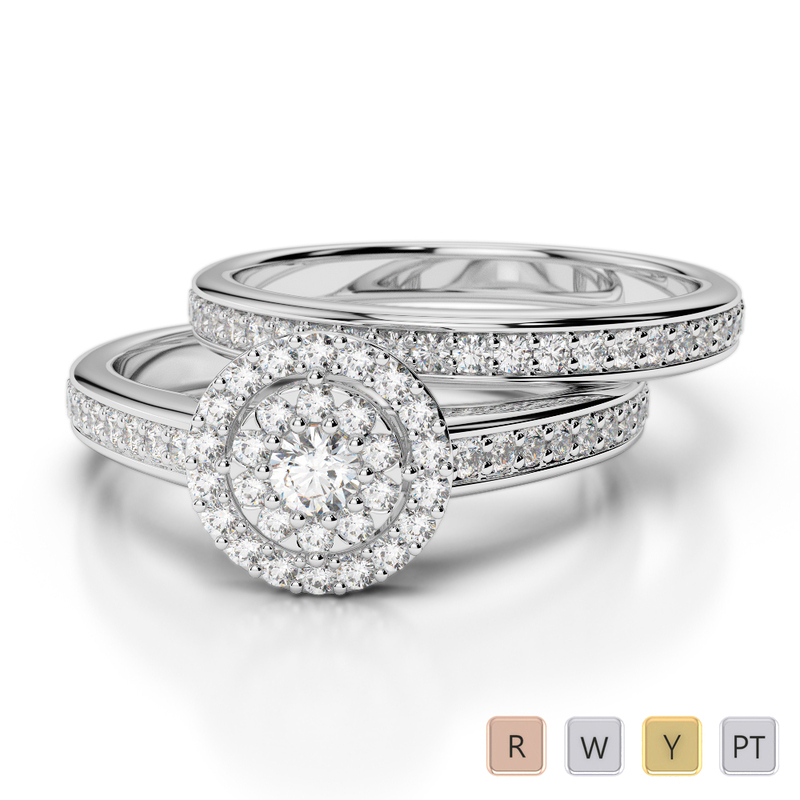 The engagement ring in this bridal band set offers a single diamond as the focal point and features smaller single diamonds on the shoulders. 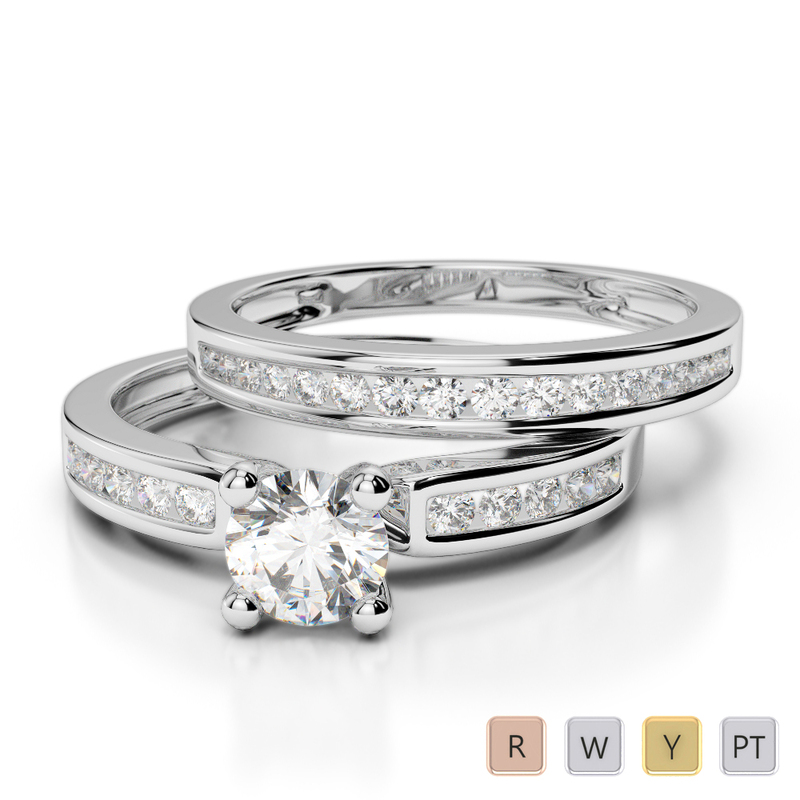 The effect is just magical especially when the set is completed on your wedding day. 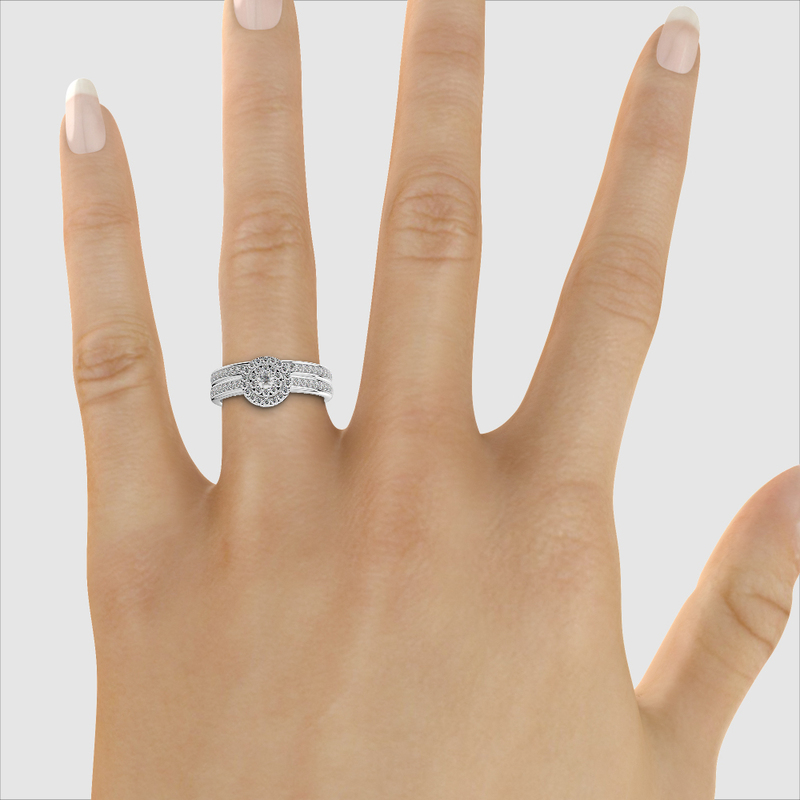 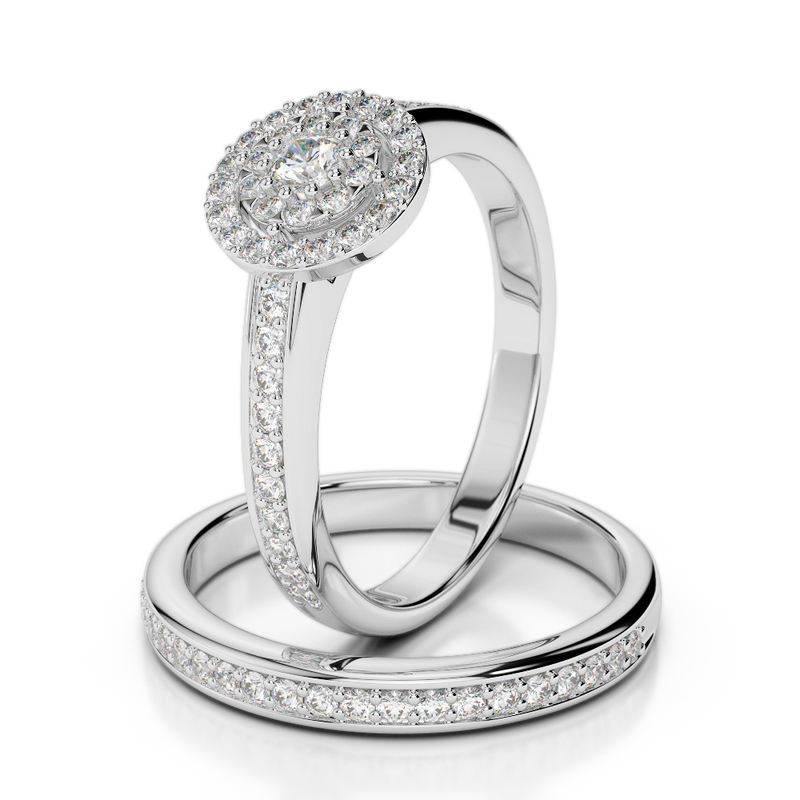 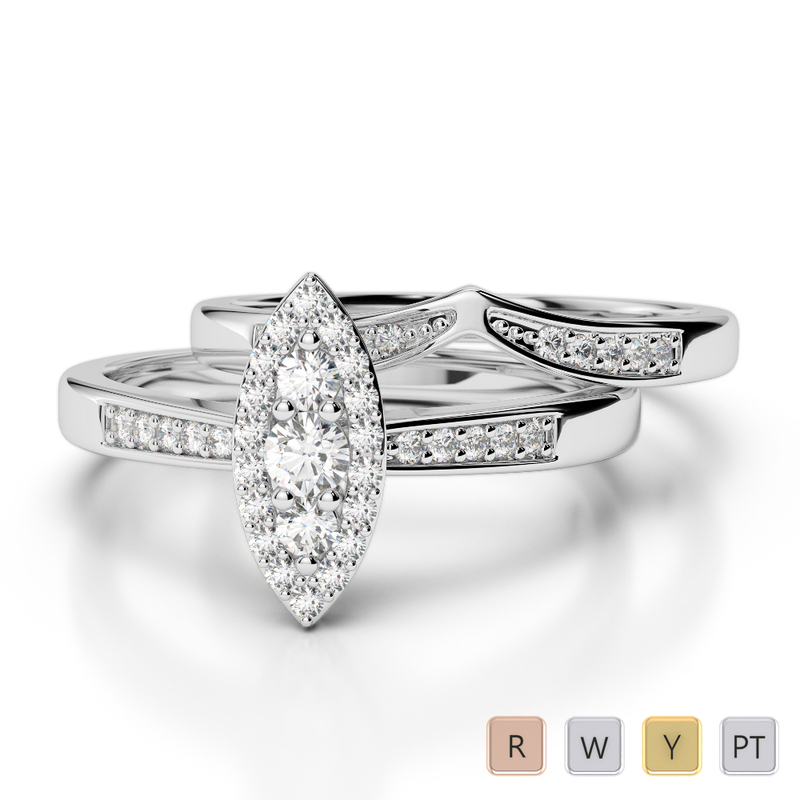 A beautiful bridal set ring studded with naturally mined conflict free diamonds. 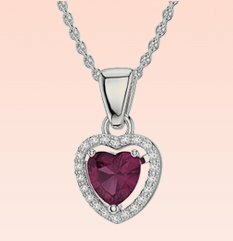 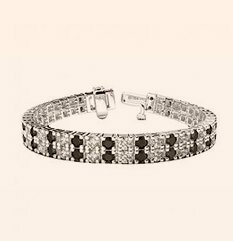 Beautifully designed to fit together adding comfort with style to your look. 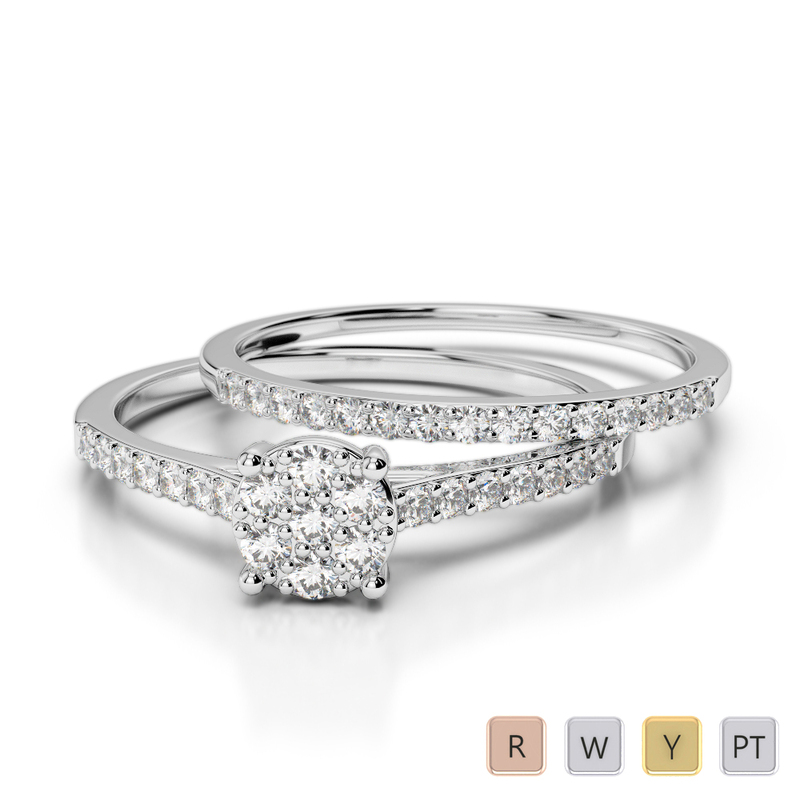 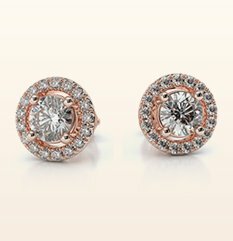 Gold / Platinum Round cut Diamond Bridal Set Ring..